For most of us, junk is just junk. They go to the trash bin waiting for the garbage collector to come. 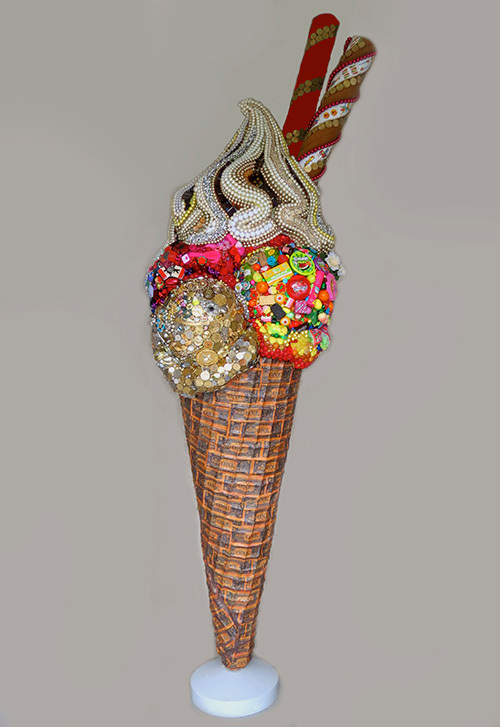 But for Elisa Insua, junk is art. 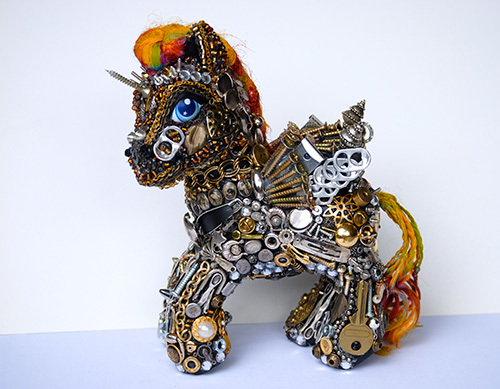 Junk is her expression of ideas and you will surely be amazed on how she pull-off this kind of art work from shampoo bottle tops, buttons, discarded Happy Meal toys, and just any object that she could use for her collage and assemblage. 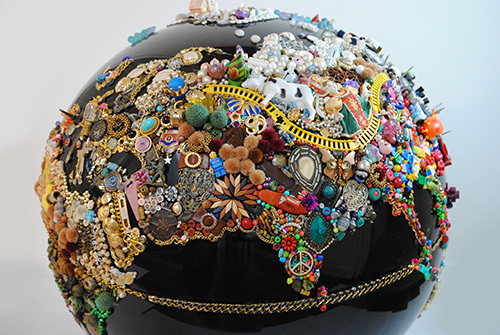 Elisa Insua is a native of Buenos Aires and had that passion for art even when she was still a child. Inspired by Argentinean artists Antonio Berni, Jorge de la Vega, and Grupo Mondongo, Elisa started working on mixed media art. Her works reflects her love for color and texture. 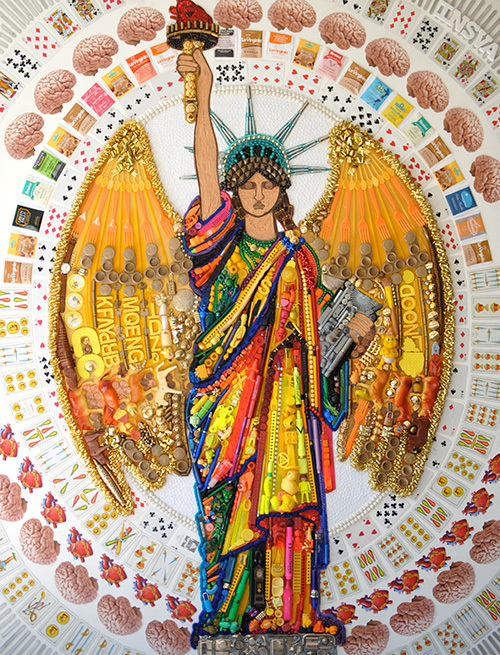 She does assemblages on wood, paper collages, and on surfaces of existing objects. Not convinced? 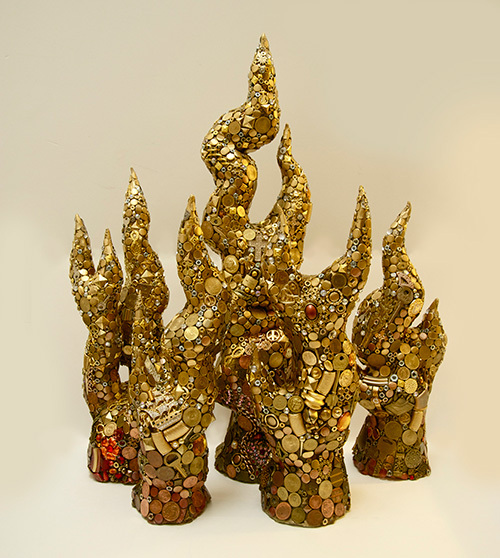 Take a look at her work below and you will change the way you perceive junk. This pony sure isn’t as tame as the Pinkie Pie or Apple Jacks especially that it is made of junk that are either steel or just anything that makes sort of mechanical. The world’s most famous monument didn’t escape the creative mind of Elisa, Can you tell us what you can see in this mixed media art? 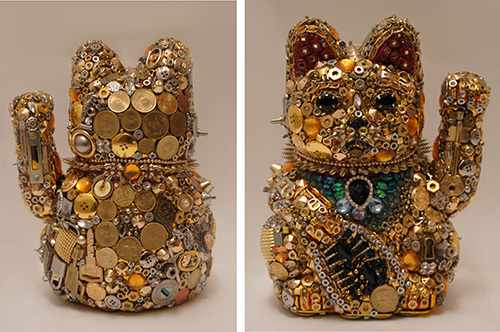 Anything that glitters like gold was brought together for this fortune cat. Note that there are real coins too! 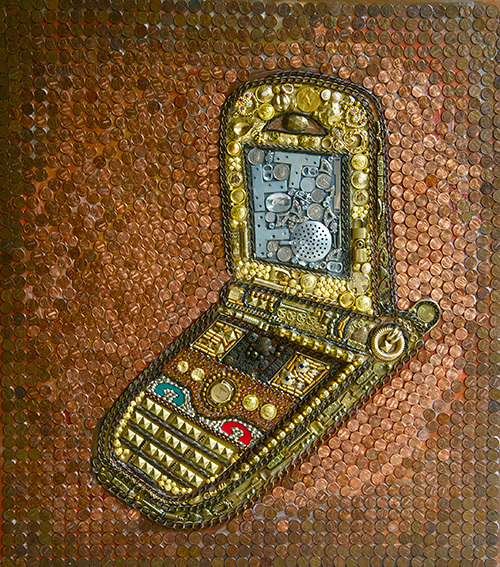 This is a beautiful monochromatic art with buttons, coins, keys and even golden chains. 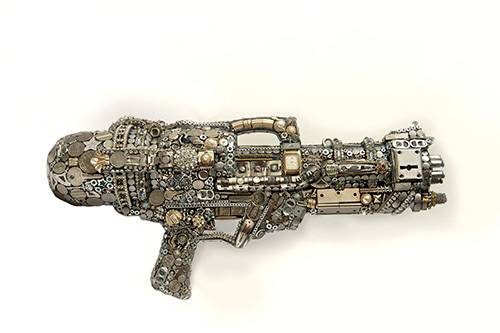 This one used silver junk materials to give the impression of a gun. Very nice details, right? We find this really cute especially the colorful part that mimic candy sprinkles and marshmallows. And we do agree that it is a great temptation! 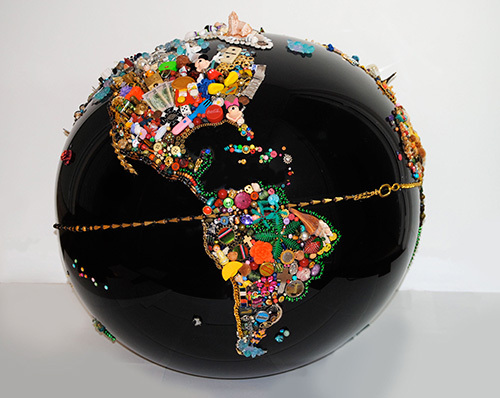 This globe looks gorgeous with its colorful ornaments placed on top of a black round thingy. Let us go back to the time of dinosaurs but of course they didn’t look as fab as this one! 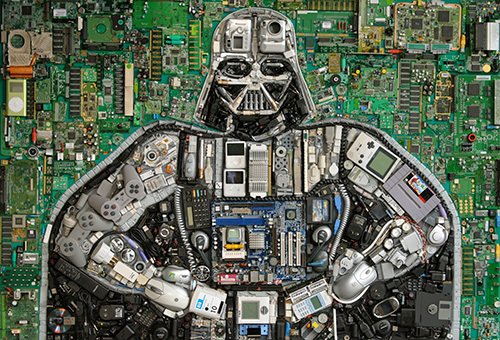 For this artwork, he is made up of electronic junks which just looked perfect for him! 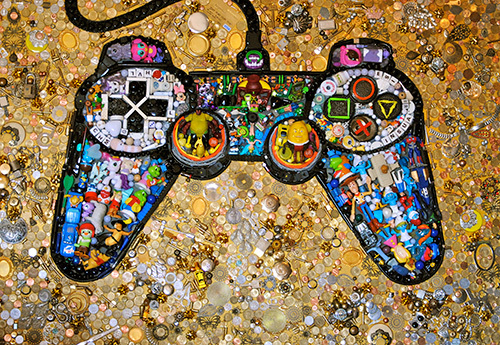 Take a closer look at this one, it is comprised of toys and other fun things which is just perfect for the item. 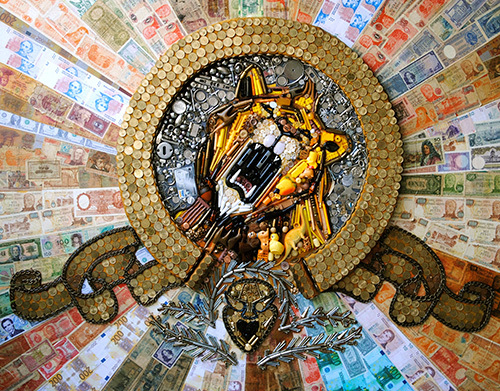 This one is Elisa’s mixed art version of the MGM logo which we usually see before a movies starts. 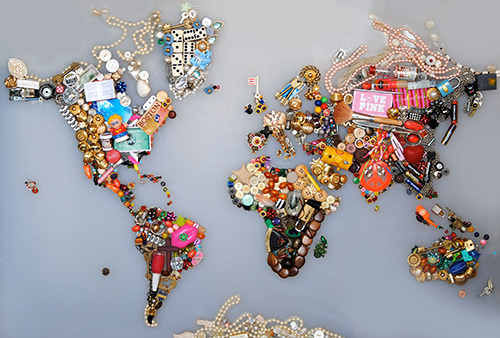 We think this one is cute where the world is made up of accessories and beads! Indeed. People these days consider this as their daily bread. We cannot agree more! 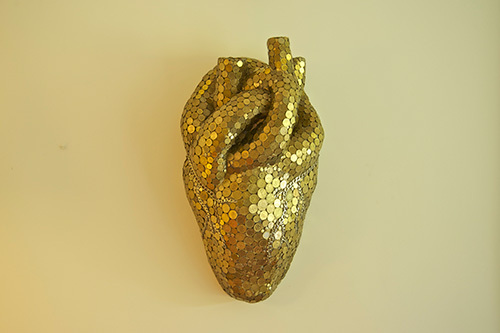 A heart made of gold with chains and sequins, we’d guess. It is indeed amazing that mere junk can be turned into a fascinating art like what we saw above. Well, with creativity and the skills of course, nothing is really impossible. Just think of how meticulous each artwork was done. We are sure Elisa Insua have some tiny things stored in her craft room which she could just gather whenever creativity strikes! 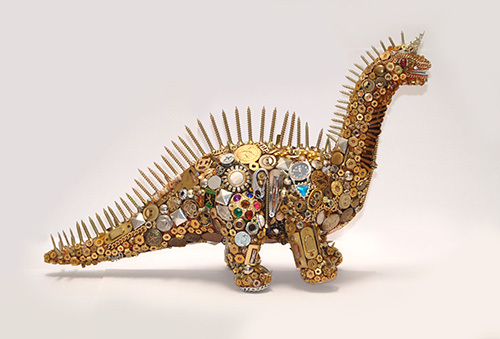 This is the kind of art that is not doubles its purpose for it is also recycling and saving the world from too much junk!